Paramahamsa Vishwananda often speaks about the value of regular practise to clear obstacles and deepen your connection to God. Through Bhakti Marga, He has put together powerful transformational practices to help you live bhakti and enjoy your own unique relationship with God. This unique spiritual palette of techniques can be found nowhere else. Explore them all to find the best ones for you. My dharma is to polish you. Your dharma is to shine. Bhakti Marga offers a variety of meditation and yogic practices that quiet the mind, support the body and help you dive deeper into your spiritual heart—the place where God lives. Paramahamsa Vishwananda does puja every day. Worship rituals like He recommends allow you to enjoy a personal relationship with God in loving devotion, one-on-one. This kind of music is special. When we sing the names and praises of the Divine, our minds let go of material concerns and we rise above the mundane worries of life. Paramahamsa Vishwananda says that 'Painting is meditation'. Students learn to paint Divine Forms like Krishna and Radha as well as drawing and painting the Sri Yantra. Paramahamsa Vishwananda emphasises the spiritual and ethical merits of vegetarianism, and is a passionate advocate for a cruelty-free world. He recommends this for everyone, not just devotees or those on the spiritual path. Seva means selfless service. On the Bhakti spiritual path, seva helps you feel the joy of serving the Divine in others. Special programs at The Ashram help experience it for yourself. 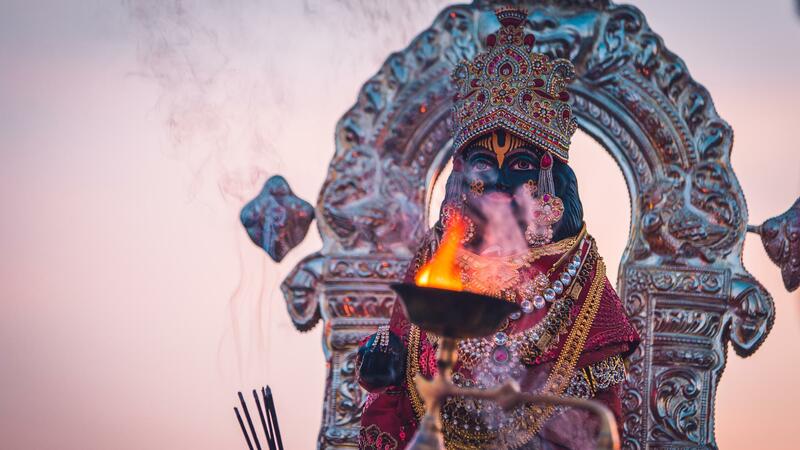 Bhakti Marga communities all over the world gather to pray, sing, do their practices, read the Bhagavad Gita together, and share experiences and insights. Visitors are always welcome. Paramahamsa Vishwananda recommends that everyone read at least one verse a day of the Bhagavad Gita. Further study through the Bhakti Marga Academy is offered at The Ashram and online.